After the dyno running-in and set-up of the engine, Steve and I both thought all we would have to do is insert the engine back in the car, connect everything up and away we go. It didn’t quite work out that way, there were a few snags, but Steve and Dave thankfully sorted out the last few issues and I headed up to Wembley on a cold and wet Friday afternoon to pick up the car. I called Steve at Jaz on Tue 11th Feb to see how he was getting on after he’d picked-up the engine from Neil Bainbridge’s dyno the Saturday before. The good news was that the engine was “almost” in the car. 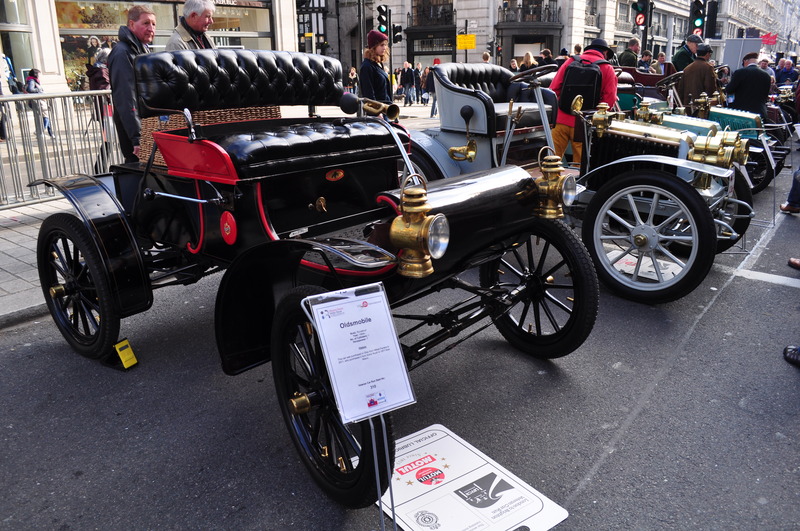 The “almost” was due to bit of a problem with modifications to the oil cooling system – he suggested I visit the following day to see what was what. My mate Stan and I headed up to Jaz on the 12th to find engine man Dave at work underneath the car which was up on one of the Jaz ramps. The engine was fully fitted and attached to the gearbox which had remained in the car whilst the engine rebuild was in progress. I called Jaz on Mon 3rd Feb and got the great news that, at long last, my engine was being run-in on the dyno at BS Motorsport. Earlier, Steve had temporarily given up on his fight to bore out the mis-matched 2.0L inlet manifold to 2.2S spec. However, through a fortunate and timely parts swap, he got hold of a proper matching 2.2S manifold to stick on the engine which enabled dyno testing to go ahead. 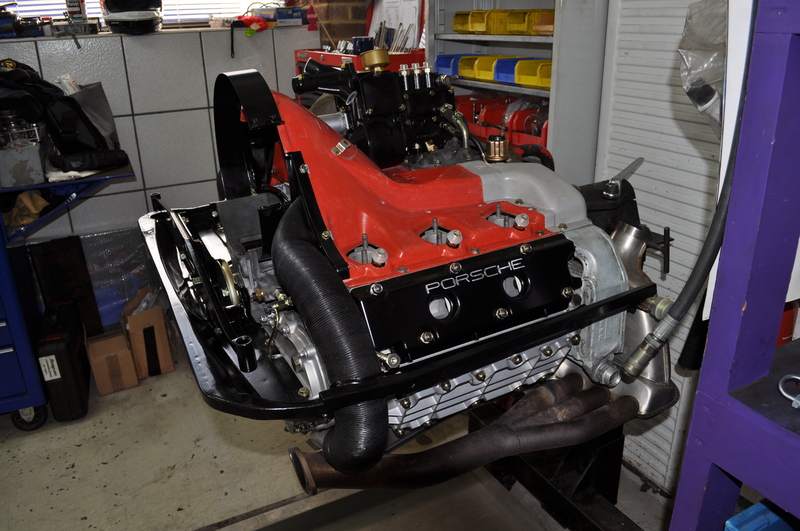 Steve had delivered the finally complete engine to Neil Bainbridge (who heads-up BS Motorsport) a couple of weeks previously, but we had to wait patiently for Neil to return from his annual pilgrimage to Daytona and then for him to then catch up on a backlog of other engine jobs. 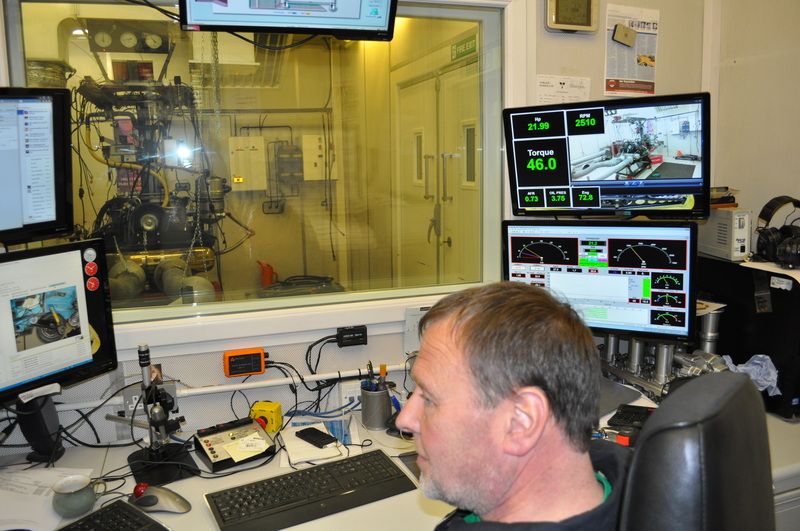 With running-in under way – I arranged to meet Steve at the dyno the following evening (Tue 4th Feb) to discuss the running-in results with him and Neil and to observe adjustments and further power runs to optimise engine set-up and performance. An email from Steve at Jaz explained the latest delay in getting my engine onto the dyno test cell for running in and fine adjustment. 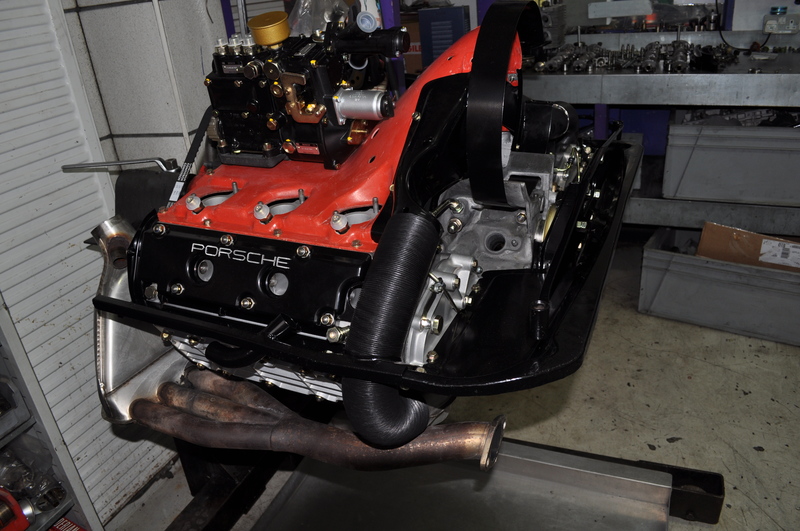 When fitting the inlet manifolds, air boxes and air tubes onto the throttle bodies Steve noticed a difference in the diameter of the bores of one inlet manifold when compared to the other. Would you believe it? Two different inlet manifolds!! !